COLOMBIA: The country's energy planning authority has published a schedule for holding its first renewable energy auction next year. Successful projects will secure 10-year power purchase agreements (PPAs) through the tender – for 3,443GWh/year, equivalent to approximately 1GW – to be held on 2 January. Auctions rules are due to be published on 1 October, and qualified bidders will be announced on 17 December. Following the auction itself on 2 January, contracts are scheduled to be signed by 14 January. Contracted projects will be able to provide 4.35% of projected energy demand by 2022, Colombia’s ministry of mines and energy added. The auction is part of the new government’s plans to source 1.5GW of renewable energy by 2022. 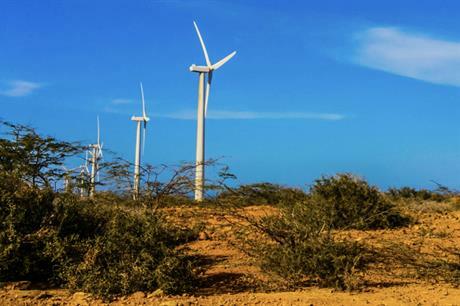 Colombia currently has just the one operational wind farm: the 19.5MW Jepírachi site owned by public utility Empresas Públicas de Medellín in La Guajria on the country’s northern Caribbean coast.